Apple and Huawei will be the biggest beneficiaries following the discontinuation of Samsung's Galaxy Note 7 line, according to research conducted by KGI Securities analyst Ming-Chi Kuo. The two companies will mainly see orders increased by users looking for a smartphone with dual camera support, including Apple's iPhone 7 Plus and Huawei's upcoming Mate 9. 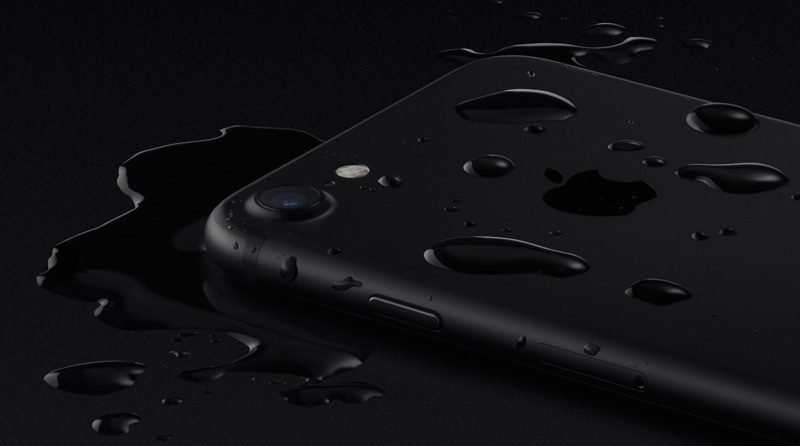 While Kuo believes Apple will benefit majorly following Samsung's troubled Note 7, the analyst also says that those benefits are "largely reflected in raised forecasts," and not as much in actual iPhone shipping numbers. Of the original 12-14 million Note 7 units expected to ship in 2016 before the exploding battery drama, Kuo estimates 5-7 million Note 7 users may switch to iPhone, mainly expected to be the iPhone 7 Plus. Because of this, the analyst believes Apple's biggest benefits of the Note 7 discontinuation have already "peaked out." It's estimated that it will take Apple between 3 and 5 weeks to accommodate additional orders of the iPhone 7, especially "if the company does not expand the current production capacity of the iPhone 7 Plus." Right behind Apple, Kuo believes that Huawei will gain the second biggest benefit of the Note 7's failure, particularly due to its foothold in China and Europe. With the impending launch of the Mate 9 in the fall, the analyst looks at Huawei as the best alternative for Note 7 users who are leaving Samsung's smartphone lineup but seeking to remain in the Android family. Ultimately, Kuo notes that while the impact of the discontinuation of the Note 7 will likely not last very long, if Samsung makes the same mistakes on the Galaxy S8 -- expected to enter mass production in Q1 2017 -- the analyst believes its brand "will be hurt immensely." It's expected Samsung will be more patient with the S8, however, since the smartphone's 10 nanometer production process is facing yield issues and as a whole the company will "make greater efforts with quality control" after rushing to production with the Note 7. The Note 7's discontinuation began with a recall of the devices in early September following a few user reports of exploding batteries in the smartphone. After the recall, Samsung faced a series of unfortunate events as its shares plummeted, supposedly safe replacement phones began exploding, and a Bloomberg report painted it in an unfavorable light, indicating that the company rushed the Note 7 into production to do battle with Apple's iPhone 7. Prior to launch, rumors that eventually became true were suggesting that the iPhone 7 would not receive a major design change, so Samsung could therefore benefit from being an enticing alternative to users on the fence. The Note 7 is now officially discontinued, banned from all United States passenger flights, and expected to cost Samsung around $2.3 billion, essentially erasing "all the mobile business profit" from the company's revenue for the quarter. "the impact of the discontinuation will likely not last very long"
Strongly disagree with that. The damage that has been done to the brand Samsung is permanent. As the IT person for my company, I order all of our cell phones and upgrades. Most of our people have opted away from the iPhone now that they no longer have headphone jacks. It really seems to have struck a nerve with people. Personally, I feel the same way and can't blame them. LOL! You're joking right!? I know people who are already itching for the galaxy s8 and Note 8 or whatever it will be called. This is literally a blip on people radars. You couldn't possibly be biased towards Samsung products could you? That's fine. We all have our preferences. Let's see: no headphone jack vs an exploding phone. BTW, how long do you think Samsung sticks with the headphone jack? as an IT person for a company, you tell them what phone to get, not the other way around. Out of 1500 employees who upgraded to the 7, I've had zero even mention the headphone jack. "Of the original 12-14 million Note 7 units expected to ship in 2016 before the exploding battery drama, Kuo estimates 5-7 million Note 7 users may switch to iPhone, mainly expected to be the iPhone 7 Plus." 40-50% seems like an extremely high rate of people switching from a Note to an iPhone. I think it would be a lot lower. There are a lot of other great Android options as well these days, so a prospective Note buyer wouldn't have to necessary switch OS's. I do think Apple, Huawei and Google (with the Pixel) stand to gain the most though. The only Note 7 users that I see switching are anyone who no longer values the brand after all the issues or someone that was relatively new to Android to begin with. Users within the higher end Samsung phones, from my experience, tend to be pretty loyal to Android and would likely just swap to another Android phone instead of the iPhone. LOL! You clearly are not in IT. I'm not a dictator. IT is not a "god-like" position despite a lot of IT people acting like it. Thats the difference between a good IT person and an @$$hole IT person. IT is about customer service to your internal employees. They request whatever they want, and as long as their manager approves it financially, i order it and people love me! I can only speak for myself, but if I had been a Note7 user that was forced to switch devices, the iPhone would not be it. S7 Edge gives me (almost) everything but the pen, so I'd be going that route. I understand this is an Apple forum, but people here need to understand that others chose Sammy's Note series over Apple's iPhone for a reason, and it's NOT because they're cheap. Some of us see more value in the things Apple doesn't offer, that Sammy still does in the remaining devices on the market. The iPhone and the Note7 were not equivalent devices. The iPhone and the S7 are closer. You choose based on what you, the individual, value more in the device's feature set.